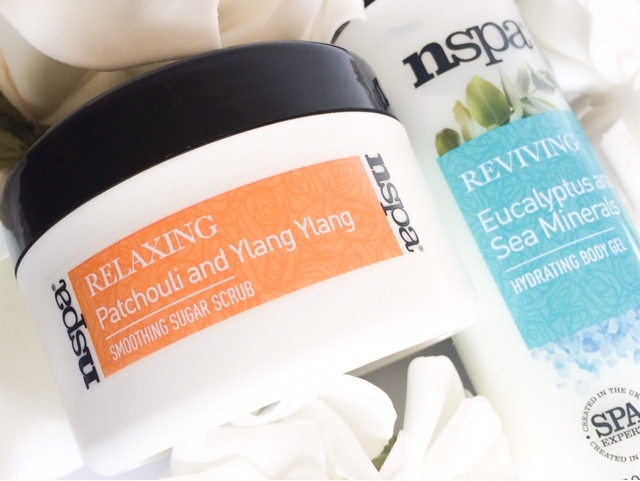 Nspa are back again with some new releases to the bath range exclusively available at Asda. The range is inspired by spa treatments and have been designed with luxurious fragrances and essential oils to relax, revive and pamper. The Patchouli and Ylang Ylang Sugar Scrub contains Mango Seed oil and natural sugar to buff away dead skin. This is very similar to the Elemis Salt Glow, but instead of it being encased in oil the Nspa scrub is almost a gel/jelly like consistency containing tiny grains of sugar. These gently exfoliate the dead skin away, leaving it feeling smooth and looking more radiant. The scent lingers on the skin which is sweet and sensuous, relaxing not only the body but the mind with its captivating aroma. This doesn't deliver the most exfoliation and they suggests you massage the it onto clean damp skin or ( like me) if you want a deeper exfoliation use it on dry, and gently with circular motions buff the skin away. It's great to use as a pre tan prep to get the skin in tip top condition. The Eucalyptus and Sea Mineral body gel contains Grapeseed, Rosehip and Jojoba oils to leave the skin feeling smooth, instantly hydrated and comforted. I was expecting this to be a gel as the name suggests but it is in fact a thin cream with a light gel consisitancy, making it feel more like a serum than a mosituriser. The lotion absorbs quickly into the skin leaving a cooling refreshing sensation behind, that hydrates and soothes the skin. The scent is very fresh, and if you're not a huge Eucalyptus fan worry not, as the frangrance is undectable on the skin but you're still left with the cooling benefits and the scent that lingers for a good couple of hours after application. This is great when stored in the fridge for extra relief when the skin needs cooling down. 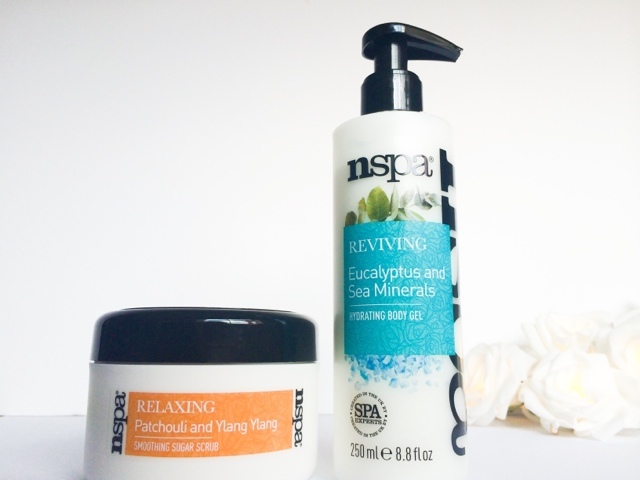 Have you tried any products from the Nspa range?